Alfonso Cuaron’s space shuttle film has been aimlessly floating without a definite release date since last May when Warner Bros. pulled it off their calendar, saying that it would come out sometime in 2013 as opposed to the original November 2012 date. Those who were left wondering when exactly we would see the film can now rest easy as Gravity finally has its release date: October 4th, 2013. 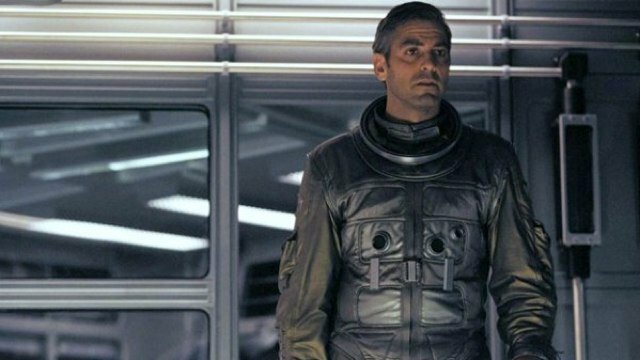 Gravity stars George Clooney and Sandra Bullock as two astronauts who are stranded in space after an asteroid strikes their vessel. It’s Cuaron’s first feature since Children Of Men in 2006. The film is supposed to be about 60% CGI, which is roughly the same amount as Avatar. It’s also rumored that the film has a twenty minute opening done in a single shot, and that the two-hour film has only about 156 shots, meaning each one lasts an average of 46 seconds and several are over five-minutes long. If done well that could be stunning, if done poorly it will be incredibly boring. Considering Cuaron is behind the camera though, we shouldn’t have anything to worry about. The specific day selected for the film’s release is rather peculiar considering October 4th already has a strong line-up set. There’s the Vince Vaughn comedy The Delivery Man, Paranoia starring Liam Hemsworth and Sin: City: A Dame To Kill For. Gravity won’t even be the only space flick in theaters that day with the 3D re-release of Star Wars Episode III: Revenge of the Sith being shown on the 4th. However, the fact that Warner is willing to release the film on this day, and in the heart of award season, means that it’s likely going to be an excellent film, despite the long delay. Cuaron has been working on this film for quite a long time and it seems everything he does is outstanding, so I’m quite hopeful for this one. Children Of Men is an excellent piece of film-making and Harry Potter And The Prisoner Of Azkaban is easily the best of the Harry Potter franchise. I’ll say that despite the delay, Gravity is still a must-see. Are you excited that Gravity finally has a release date? Share your thoughts in the comments section below.